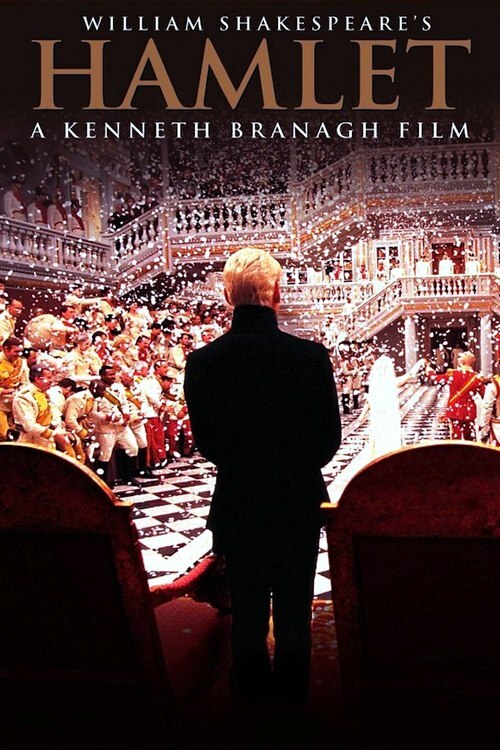 Amazing motion picture starring, written, and directed by Kenneth Branagh. The dialogue is a word for word rendition of the complete play written by William Shakespeare. This movie is four hours long and leaves no stone unturned when it comes to Hamlet. Hamlet (Branagh) is distraught because of the recent death of his father the King of Denmark and the marriage of his mother to the Kings brother Claudius (Jacobi). The marriage was shortly after the death of her husband and this troubles Hamlet immensely. Horatio (Farrell) is Hamlets friend and he comes to Hamlet with word of a sighting of his father the King. Hamlet joins them on the watch and again the ghost of his father comes. He is drawn into the woods where the ghost reveals the truth of his fathers murder. Hamlet is now driven by revenge. This movie was shot in 70mm and is filled with spectacular shots and panoramic views. The music works seamlessly from scene to scene. In the introduction, Kenneth Branagh described this as a means of presenting the entire play to the world. “It was never done before on film” and the fact that it made less than five million worldwide box office solidifies that it will never be done again. This is a movie (play) where every character is driven, flushed out, and each character goes through a transforming character arc. Brilliantly written by William Shakespeare and if you have not seen this movie then take the time and watch this version. It amazes me every time I watch it. I bought the DVD and when they released it on Blu-ray I bought it again. I cannot recommend a movie more than this one, it is a part of our culture and this version will give you the best understanding of Hamlet. If you liked this try: Shakespeare in Love, Anonymous.